Smart Shooter is a digital photography work flow application for tethered shooting, remote capture, and advanced camera control. 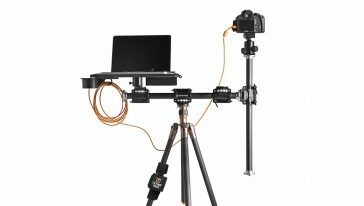 Smart Shooter provides tethered capture for most Canon and Nikon cameras utilizing a reworked user interface, to provide speed and performance for your tethering needs. 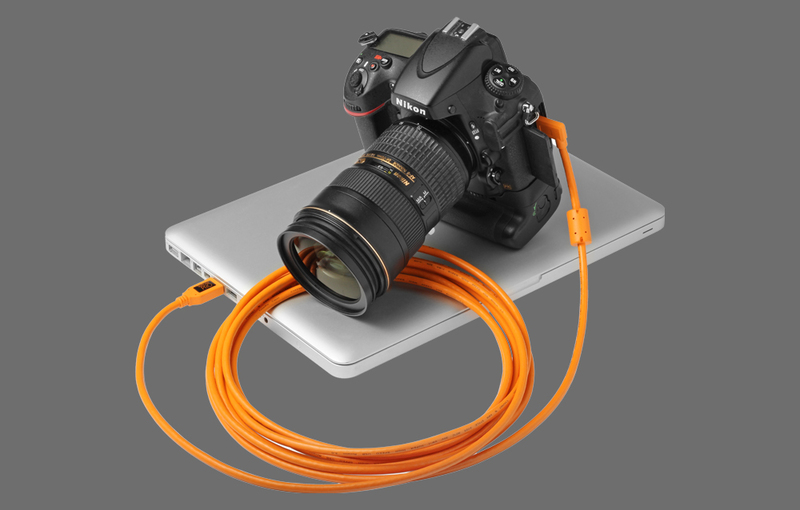 Backed by Tether Tools support, we believe Smart Shooter is the best in class tether utility. 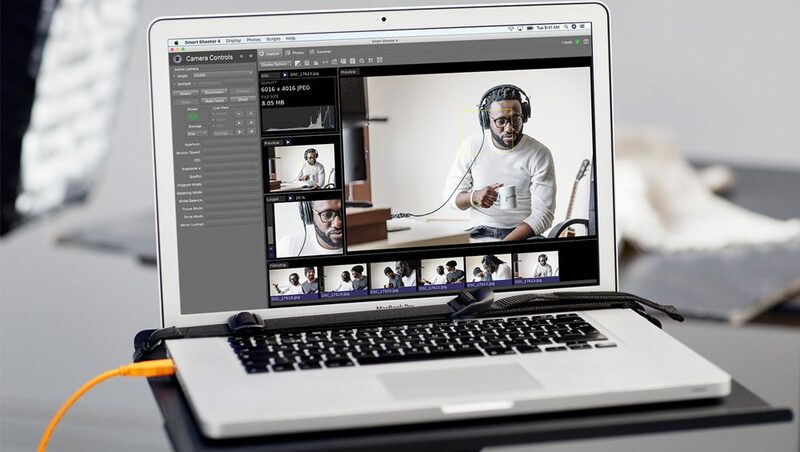 Smart Shooter allows you to fully control your camera from your Mac or PC, giving you freedom to explore and experiment to help make the perfect picture. 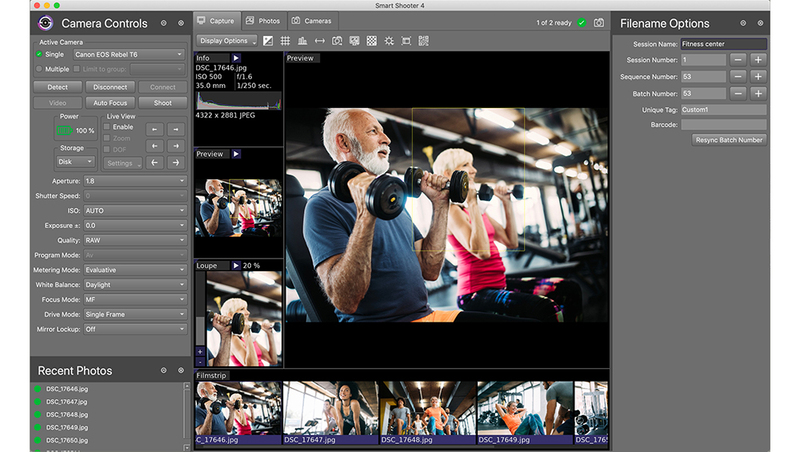 Automatic download and display means you can fully evaluate your photos in seconds, and real time live view output will help you focus and compose the scene. 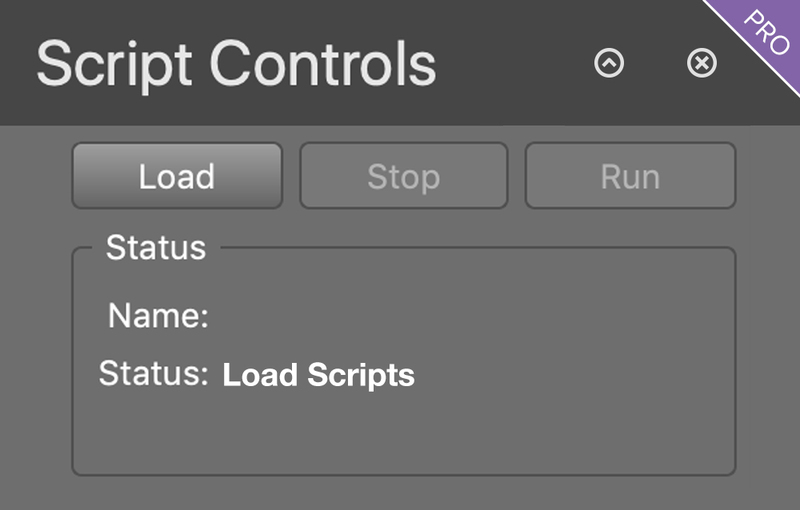 Scripting language lets you control your camera, allowing you to take multiple photos with varying settings just by clicking a single button. Smart Shooter is aimed at both the professional and amateur photographer. 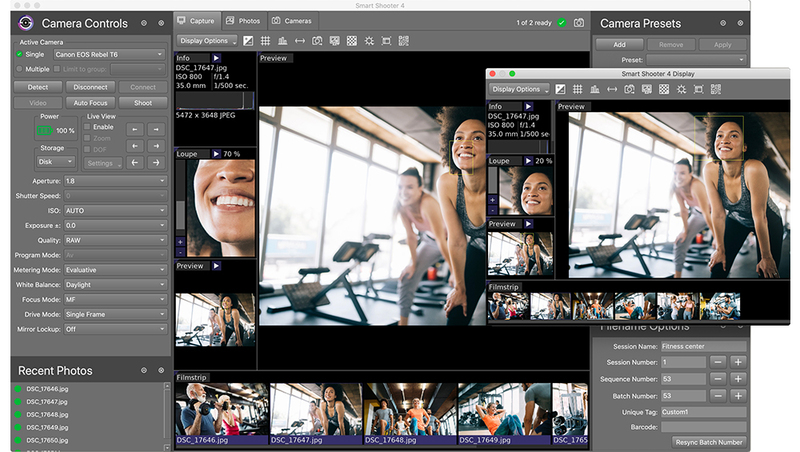 The Capture Tab now features configurable panels that allow for advanced tethering features like multiple loupe views, filmstrip photo preview, and zoomed live view. A new set of high contrast icons have replaced the existing icons to make it easier to identify features at a glance. Additional user interface changes make the tether capture experience better. Smart Shooter is continually improved upon for speed and rendering capabilities. Smart Shooter 4 features a number of improvements that take it from great to exceptional. The Recent Photos list has been updated with an all-new Filmstrip panel. Now you can visually see thumbnails of previous photos taken and quickly switch between them in the main Preview panel. Smart Shooter 4 PRO can be driven from a script, giving you the ability to change camera settings and control when photos are taken. This allows you to take a series of different photos without manual operation of the camera or computer. Smart Shooter allows you to connect multiple cameras to your computer at the same time. The interface allows you to select which camera is currently being controlling and hence will be affected by changes to settings and other commands. 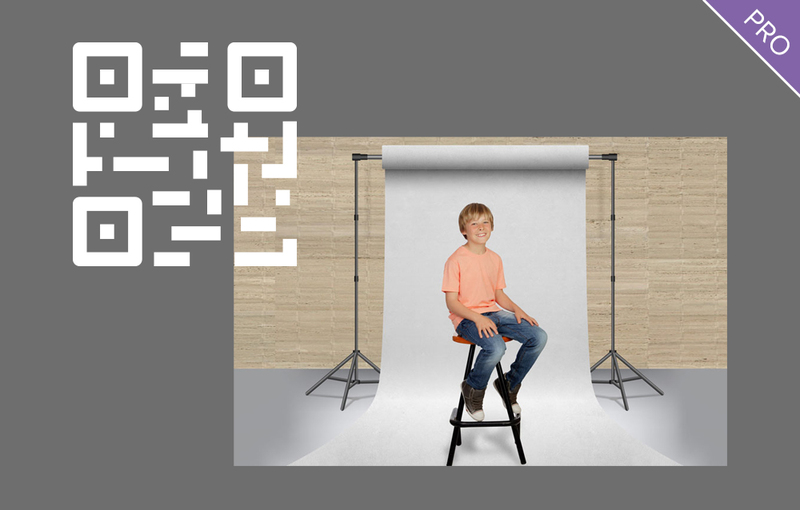 Smart Shooter 4 PRO has the ability to scan a photo and detect if it contains a barcode or QR code, and extract the text information from it. This text can then be used as part of the filename when saving the photo. Smart Shooter 4 PRO can be integrated with an external system by using the External API feature. This provides ways to integrate Smart Shooter with your existing software systems. If you camera supports Live View, then Smart Shooter can display the Live View image in realtime on the PC. 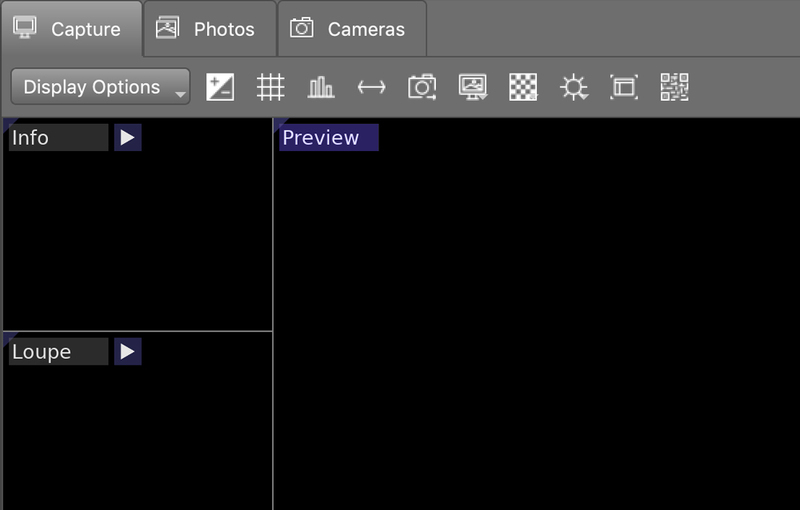 You can also change the transparency of the Live View image so it is displayed as an overlay over the last taken photo. 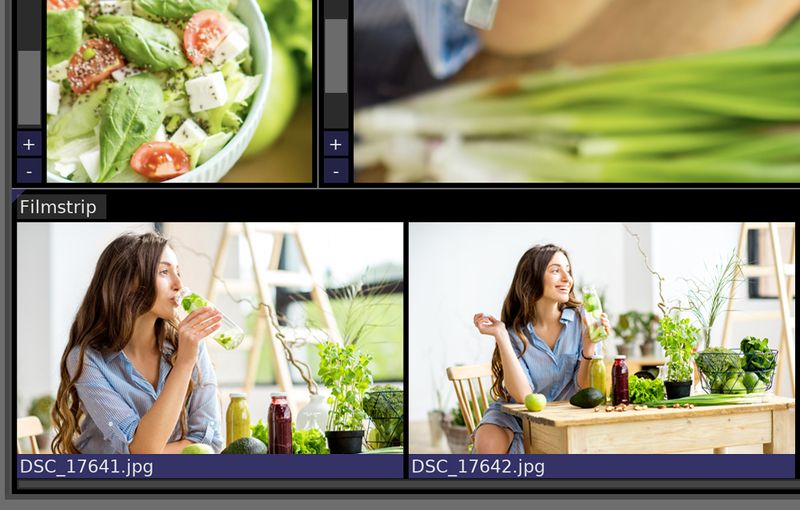 Each frame of the Live View output can be saved to a JPG file on the PC. Smart Shooter can automatically download and display the last taken photo. 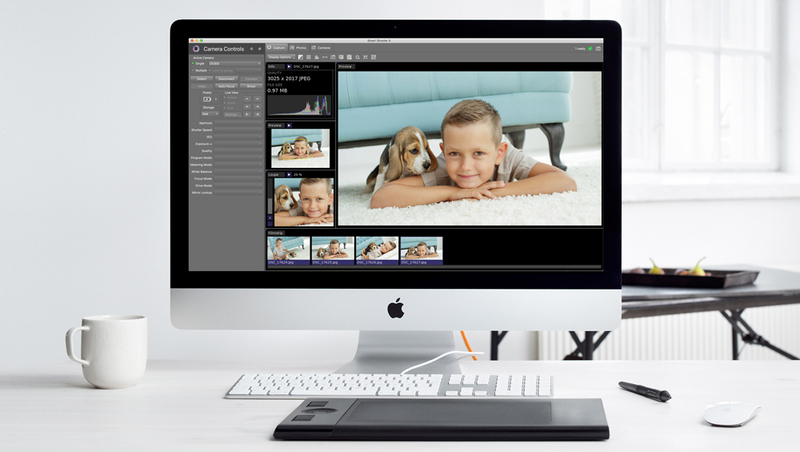 The photo display software uses GPU hardware acceleration, so you can immediately check the photo by zooming and panning in realtime on you PC using the mouse. You can continue to use you camera manually whilst is is connected to the computer. Each time you take a photo, Smart Shooter will download it and display it on the screen. Smart Shooter can be driven from a script, giving you the ability to change camera settings and control when photos are taken. 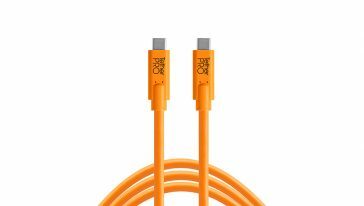 This allows you to take a series of different photos without manual operation of the camera or PC. Smart Shooter allows you to connect multiple cameras to you PC at the same time. The interface allows you to select which camera is currently being controlling and hence will be affected by changes to settings and other commands. Interested in trying out Smart Shooter 4? Download it now with a FREE 30-Day Trial. During the trial period, all features of the app are unlocked. Once the trial time period has expired, the software will become locked. To simply unlock it, you will then need to purchase a license. Once you have purchased a license, you can unlock the software again using the license key. For instructions on how to do this, please refer to the Registration Documentation. For instructions on how to install and uninstall the software, please refer to the Installation Documentation. For information on version updates, please refer to the Release Notes. The End User License Agreement is included in the software installer package. EULA Download.